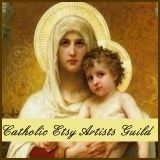 Years ago, I use to make and sell these little votive candle holders at craft shows. They always proved to be popular sellers for me. Not only are they a breeze to make, they are versatile and can be used to complement Victorian/Shabby Chic decor, included as wedding reception table decorations or given as gifts for Mother's Day, to name just a few. 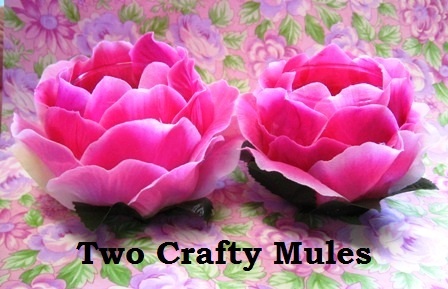 And - they are inexpensive to make - as all items used in this project can be purchased at the dollar store. On a protected work surface, pull the silk roses off of their stems. Use fingers to remove the little plastic pieces that hold the roses together. Pull off the leaves and peel off any attached wires. Set the rose petals and leaves aside in separate piles. Discard the stems, plastic pieces and wires. Once all of the rose petal layers have been separated, use scissors to clip each layer into individual petal pieces, if needed. Set these aside until all petals have been clipped. If desired, sort petals by small, medium and large sizes. 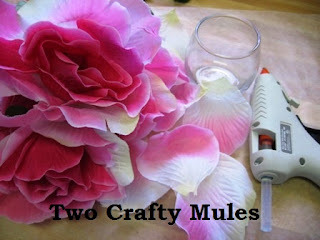 This will save time when attaching petals to the votive holder. Beginning at the top of the votive holder, apply a dab of hot glue to the glass and carefully place the lower half of a smaller-size petal on top of the glue. Press gently into place. The petal should stand about 1/2" taller than the top of the glass. Repeat this step, taking care to slightly overlap the second petal over the first. You should not be able to see any glass between the petals. Repeat this process all the way around the circumference of the votive. Once the first row of petals is in place, start gluing a new row of petals just below the first. The size of the petals in this row should be a little larger in size than those in the first row. 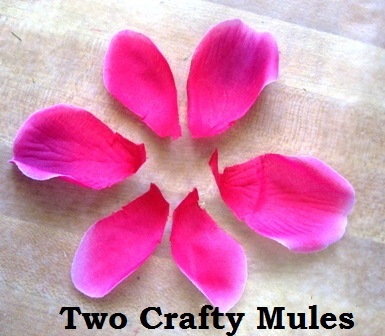 (The petals will gradually get larger as you work your way to the bottom of the votive.) The petals from the new row will slightly overlap the first row. Take care not to apply glue to the top part of the petal; once the gluing process is completed, the layers will fluff out - just like a real flower. 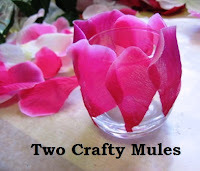 Continue to glue all of the petals to the votive holder in this manner. Use a couple of petals to cover the very bottom (underside) of the votive. Glue 3 or 4 leaves onto the bottom of the votive. And there you have it - a beautiful rose to enjoy all year long! P.S. 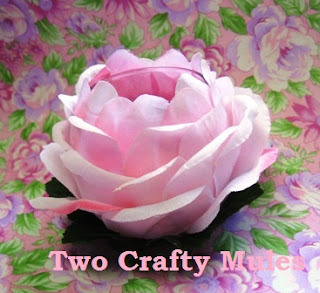 This project is currently being featured on one of my favorite blogs - Dollar Store Crafts. Very pretty--I've never seen these before, thank you for the great tutorial! These are so nice! Thank you for sharing! I do have a question. Does the heat from the candle affect the hot glue? Eg., soften it? If it will, I should perhaps try a different glue. Saw this on DSC ... so pretty! These are beautiful! 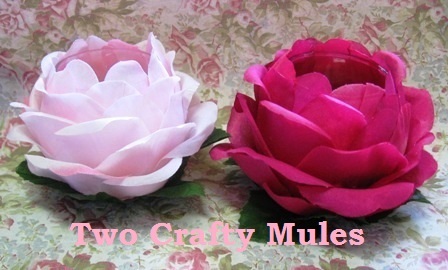 Does it take the entire bunch to make one holder or just a couple of the flowers? This is gorgeous! I'm going to pin it on pinterest. Thanks for sharing! I love this idea. I think I will use silksp petals from the dollar store and a battery candle, also from the dollar store. I'm assuming since heat rises it may not be a problem.